Filmmakers and food lovers Jen and Grant dive into the issue of waste from farm, through retail, all the way to the back of their own fridge. 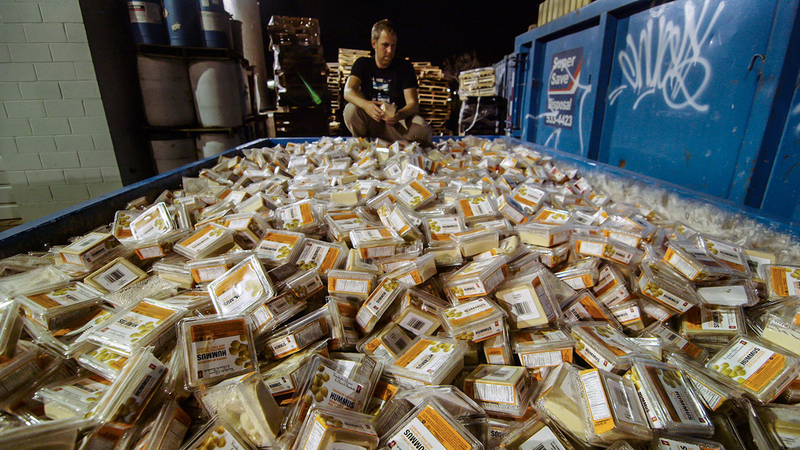 After catching a glimpse of the billions of dollars of good food that is tossed each year in North America, they pledge to quit grocery shopping cold turkey and survive only on foods that would otherwise be thrown away. Filled with shocking revelations about how much food we waste, Just Eat It will have you running home to your fridge and conjuring up creative ways to consume and conserve. If we start small, perhaps we can change food management within our society.